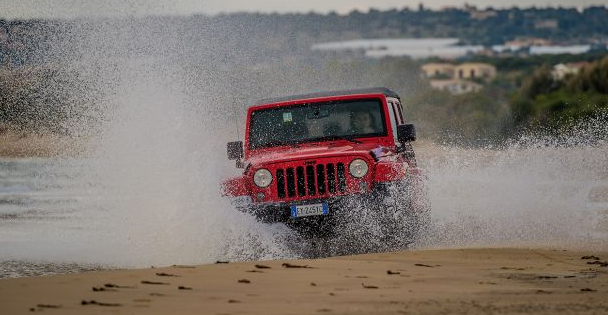 The readers of the specialist German SUV and 4x4 magazine, Auto Bild allrad, have voted the Jeep Wrangler the best imported ‘Off–road vehicle and SUV priced 30,000 to 50,000 euros’. It was also awarded third place in the overall ‘Best off-road and SUV’ category, only eclipsed by two of the premium vehicles from top German brands. The readers of the magazine are asked to vote annually and to name their favorite vehicles from manufacturers all over the world. This year, 219 different models featured in the poll. The world’s first lightweight 4x4 vehicle was the Willys-Overland MB, and the Jeep Wrangler is a direct descendant of this iconic vehicle. It was this off-roader that started peoples love of vehicles that can be used for adventure, as well as just for the daily trip to work, school runs, and any other routine journeys. Winning this award for the third successive year underpins the high regard with which the magazine’s readers hold the Jeep Wrangler, and shows the appreciation of true off-road and SUV enthusiasts. Originally hitting the market as the Jeep Wrangler at the 1986 Chicago Auto Show, it has been developed and updated several times, and is now one of the most popular 4x4 vehicles on the road. Since 2007, as well as the standard 2 and 4 door models, a Jeep Wrangler Unlimited was introduced. This is a long-wheelbase version, which gives Jeep customers more options.